For a basic rebuild of your performance QFT™ carburetor. 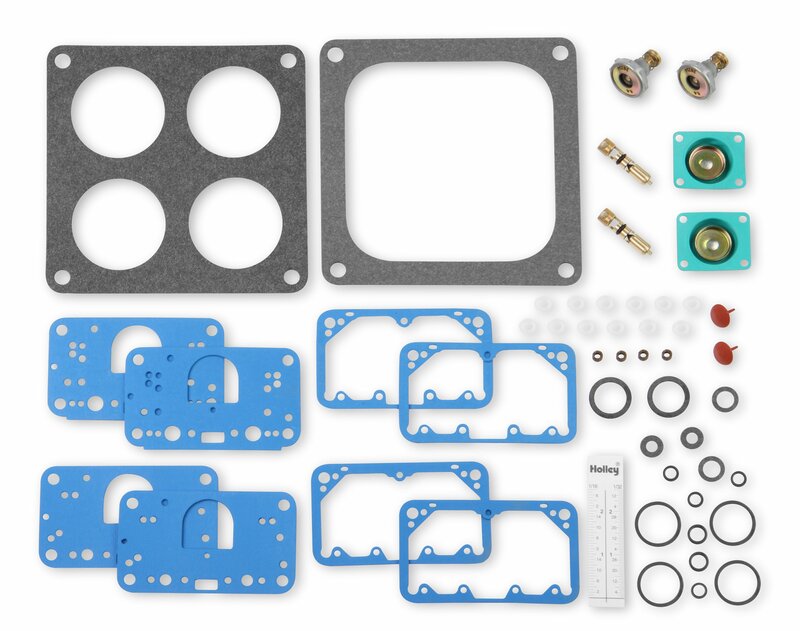 Kit includes all the necessary gaskets, needle and seat assemblies, and GFLT pump diaphragms required. All gaskets are made of MP-15 gasket material for excellent sealing and torque rentention. Fuel bowl and metering block gaskets are redesigned for race applications with larger hole diameters, including booster thru holes and jet placement. QFT's exclusive FOUR DOOR® power valves provide greater flow capacity. P/N 3-4700 fits 4500 style flanges, 2 and 3-circuit applications; gasoline only.